Following an excellent quarterbacking career with Edmonton and Calgary, Eric “Eck” Duggan was a game official for several years. “Eck” Duggan was among the group who reorganized the Edmonton Eskimos in 1949, after a nine-year hiatus. He was the CFL commissioner’s representative in the Western Conference from 1960 – 1980. In addition to the professional game, Duggan served Canadian football at both the Intercollegiate and Junior levels. 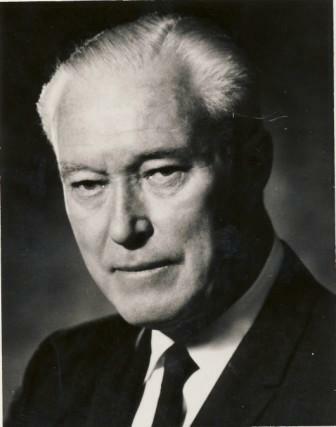 Eric Duggan was honoured by the Canadian Rugby Union in 1963 for outstanding service to the game, and in 1981 was inducted into Edmonton Sports Hall of Fame.